Copyright is a legal concept that gives authors exclusive control of their books, preventing other people from publishing those books without the authors' permission. You may buy the copyright of an old book for a number of purposes, including republishing an out of print book that might find new fans in a different era. Find out the year that the first edition of the book was published. All books published in the United States before 1923 are in the public domain, a term meaning that they are no longer protected by copyright and anyone may publish them. If the book was published in 1923 or later, a complex set of rules exists for determining whether the book is still controlled by its original author's copyright. Consult an online table, "Copyright Term and Public Domain in the United States" by Cornell University Copyright information Center, to determine whether the copyright of a book published in the United States in 1923 or later may still be controlled by its original author. Search copyright records on a book published in 1923 or afterwards to see if the author or publisher established and renewed the copyright. A University of Pennsylvania Library essay, "How Can I Tell Whether a Copyright Was Renewed?" describes ways to do this, including checking later editions of the book for an announcement of copyright renewal and searching the online copyright records of the U.S. Copyright Office. Contact the author, or the author's heirs if the author is dead. If you cannot find the author's address, ask the publisher who released the latest edition of the book to forward your letter to the author. Hire an intellectual property lawyer with expertise in copyright law to assist you in negotiating with the author and drawing up a document called an assignment of copyright that will transfer ownership of the copyright to you. Contact your state bar or the American Bar Association's Section of Intellectual Property Law for help in finding copyright lawyers. University of Pennsylvania Online Books Page: How Can I Tell Whether A Copyright Was Renewed? Copyright protection begins the moment a literary work is created in a tangible form, whether handwritten or typed. The 1976 Copyright Act does not require formal registration for a book to be protected from infringement, and for works published after Mar. 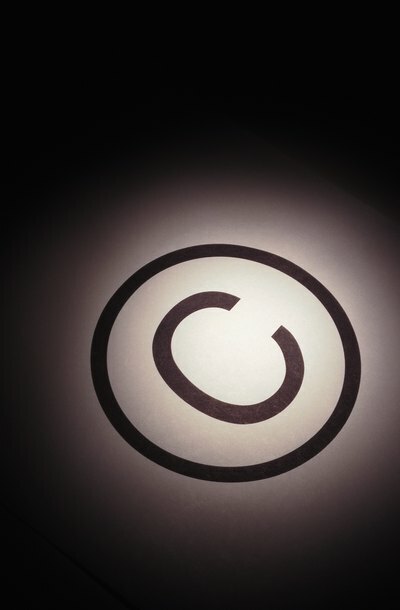 1, 1989, affixing a notice of copyright on all copies to maintain copyright protection is no longer necessary. It is advisable, however, to formally register literary works, and later substantive revisions of those works, to maximum the benefits of copyright protection.